We recently recycled a Class 10 (CCA) computer for our small business. For our T2 tax purposes, we know we are to claim a terminal loss on the disposal ($71.00 of UCC was left on the computer at year end the previous year) if there is only one item left in the Class 10 pool. My question is, what is the bookkeeping entry in our accounting program that will reflect this terminal loss? Typically at year end we do an entry where the asset ('office equipment-computers') is credited, and the expense ('amortization') is debited. What would the journal entry at year end be for this loss of $71.00 on that computer hauling it to the recycler for no return, and what accounts are involved in the journal entry? It looks like you did not have a separate account for accumulated amortization. What you need to do for accounting purposes, which is different than tax purposes, is prorate your amortization up to the end of the month you recycled it, just like you normally would.
. This account should be a "7000" account in your chart of accounts ... i.e. after operating profit. 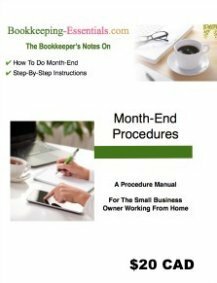 I have a more complete chat on How to record the sale of an asset in my article on Common Bookkeeping Entries ... however, you will need to sign up for my free newsletter to get The Insider's Pass to read this part of the article. Just remember as you book your accounting entries, which are different than your tax return, your objective is to clear the asset off your books and record your amortization expense allowed for the year. It is not uncommon for CCPCs to use a non-GAAP method of recording the amortization each year ... which is matching the CCA recorded on the tax return. If this is your case, your objective that I stated above is still the same. If your bookkeeping entries result in a loss as well, you may want to call the account Terminal Loss on Disposal of Asset instead of Gain (Loss) on Disposal of Asset. In terms of accumulated amortization, we DO have such an account. 1-2500 is the asset, 1-2510 represents the original value, and 1-2520 represents the accumulated depreciation (amortization). The balances in these accounts are reflective of what reality is, so the transactions at year end have been done in terms of depreciation. This is the first time we've recycled, sold or otherwise gotten rid of a depreciable asset, so to this point we haven't had to deal with the tax implications or the journal entries. We are using MYOB V. 11 so very similar to Quickbooks. The chart of accounts in MYOB v.11 does not have "7000" accounts, expenses are '6000' series then the chart goes up to '8000' series for "other income" for "interest income" and "purchase discount"......and to the '9000' series for "other expense" containing the account "interest expense".....so am I to assume in our case we'd put 'Gain/Loss on Disposal of Asset' in the 8000 series? Thanks again, you're a great resource. Yes you would put it to your 8000 or 9000 series accounts. On Schedule 1, there is a deduction from net income called 'Terminal loss from Schedule 8'. The net income comes from line 9999 of the GIFI. If you have an expense line such as 'disposal of asset' or 'terminal loss' or even 'final amortization', then wouldn't you be double counting the expense twice since the tax software already deducts it? But if you don't deduct it as an expense on your financial statement, then the balance sheet won't balance. Here is my understanding ... keeping in mind I am no expert on T2 tax preparation. GIFI is just your income statement and balance sheet input into CRA standardized forms 100 & 125. 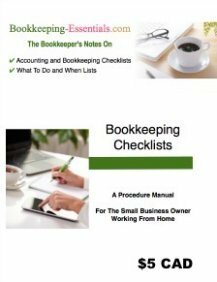 Schedule one is subtracting or adding back items due to the differences between Book Accounting and Tax Accounting - i.e. timing differences such as tax deferrals. Terminal loss results from the sale or write-off of the last asset in a CCA group I believe and is reported on Schedule 8 which is carried forward to Schedule 1 ... I'm not looking this up so I may be wrong. Unlike the T2125 tax schedule for sole proprietors,... if you have not been trained in T2 preparation and are not familiar with tax vs book timing differences, you shouldn't be preparing T2 returns ... they are more complicated than they look. They require a solid base of tax knowledge to prepare correctly ... IMHO.